What Is a Blue Tick Heeler? "Blue-tick heeler" is a colloquial name for an Australian Cattle Dog that has a blue merle coat pattern. This breed of dog is more commonly known as the blue heeler, Queensland heeler or just heeler. The red heelers, are similar but lack the blue speckling on their coats. 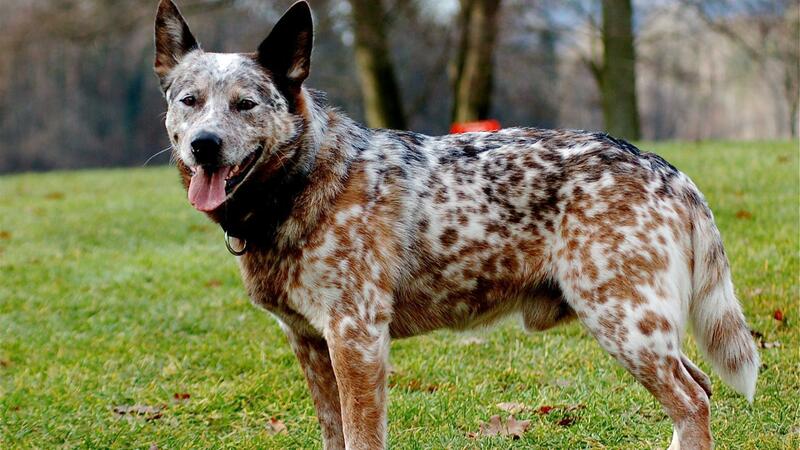 According to the American Kennel Club, Australian Cattle Dogs were developed by Australian ranchers in the 1800s by crossing imported working dogs such as collies with the local dingoes. The breed is known for its high energy and intelligence. Heelers need a home that gives them a job to keep them busy and an owner who can be a strong leader. What Is a Reverse Brindle? What Are Some Traits of a Blue Merle Australian Shepherd? What Is a Queensland Heeler?